HOW ARE THE ROCKS AND STONE SOLD? 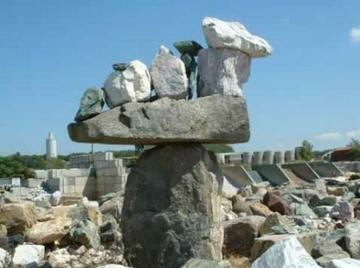 Rocks and Stone are sold by the pound or ton. Crushed Stone is sold by the yard. HOW ARE THE PEBBLES SOLD? Beach, Lake, and River Pebbles are sold by the yard. ARE THE ROCKS & STONE YOU SELL NATURAL? YES. All of our products are natural from the earth. We offer colorful, decorative, rocks and stones for walls, ponds, rock jetties, river beds, and pools (for accent & diving). We can deliver your order and there is a small delivery fee. If you like you can pickup your order with a dump truck, pick-up or trailer. Unfortunately we cannot load car trunks, vans or small buckets. YES, bulk truck load deliveries are available beyond our local delivery area. Skyview Stone and Landscape Development accepts Cash, checks, credit cards and debit cards. HOW MUCH GRAVEL DO I NEED FOR MY DRIVEWAY? The best depth for driveways is 2 inches deep. To achieve this you need to measure the length and width of your driveway. Once you have those measurements, multiply the L X W and divide that total by 100. This will give you the amount of yards you need to cover your driveway. DO YOU DELIVER BULK LOADS? Bulk loads are deliveries equivalent 25 or 40 ton loads which will save you money. We can deliver bulk loads to you home or business. Please keep in mind that these deliveries will arrive using a large 10 wheeler truck or tractor trailer. Rock & Stone, Pool Sand, Topsoil or LI Boulders ! or a Rock Wall built with Boulders ! Love Can Be Identified By ................?